MAD-ly INSPIRED? In this picture DG Lynette shows DGE Casper the way forward as she is starting her 2nd part of the 2017-2018 Rotary year with his 2018-2019 Rotary year on the horizon. 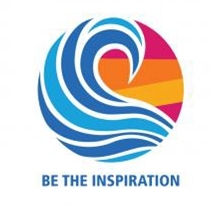 With the 2017-2018 theme of “Making A Difference” flowing into the 2018-2019 theme of “ Be the Inspiration” D9350 will carry on being madly inspired!